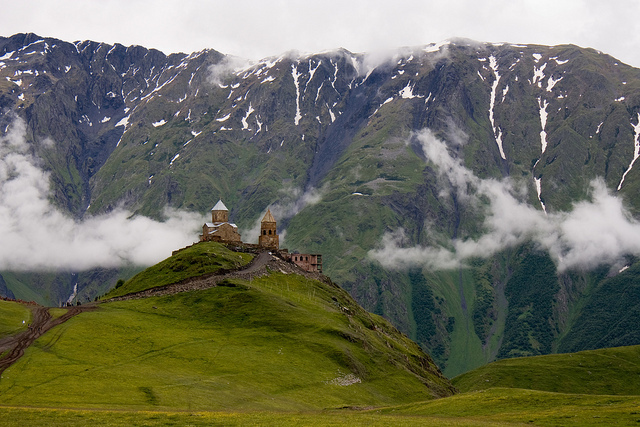 During the tour, we will visit to mountain region of Kazbegi, which locates in northern Georgia. We will pass winter resort Gudauri by one of the oldest military road in Georgia and reach to Kazbegi municipality, where we can see wonderful nature sights: Dariali valley, Gveleti waterfalls and mountain Kazbegi, which is the third highest glacier in the Caucasus range. Also we will imagine past and find reality of the region by visiting cultural sights. 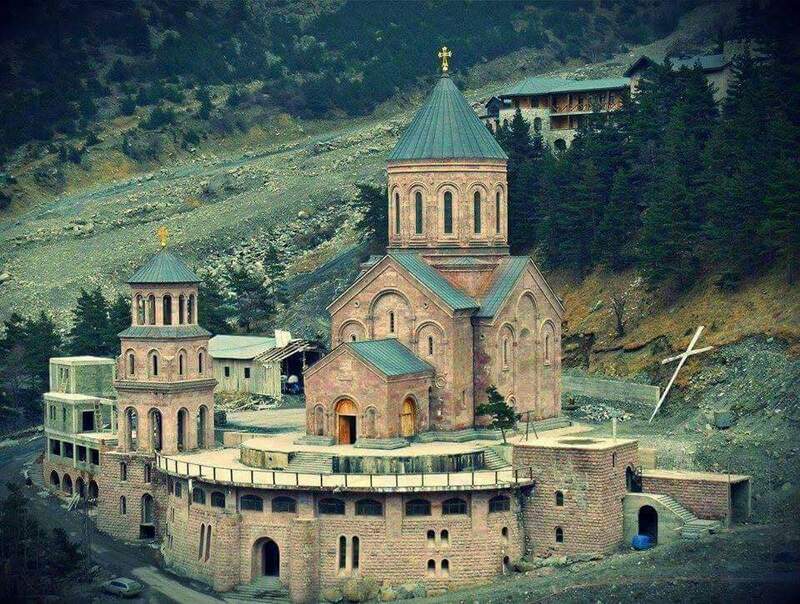 The tour starts from Tbilisi at 09:00 a.m. to the northern direction in mountain region Kazbegi. 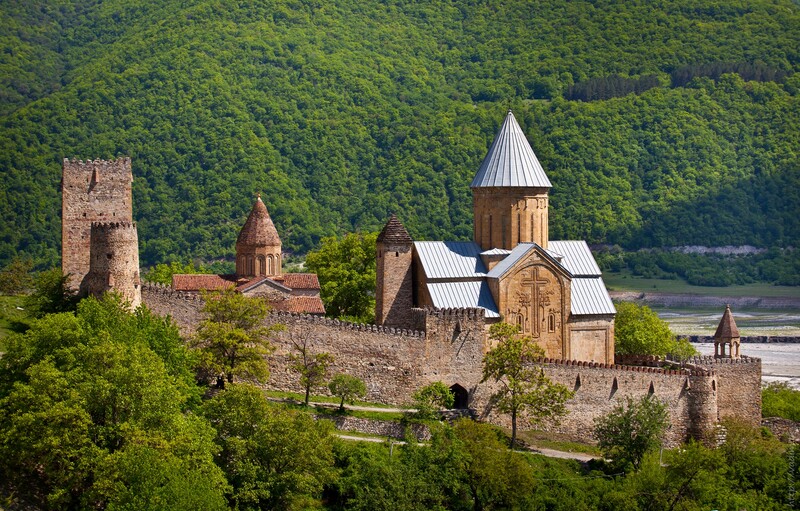 First sightseeing is Ananuri Fortress (XVI – XVII c), afterward the tour continues to the direction of winter resort Gudauri (2196 m. above sea level),Sno Fortress (XVI – XVII c), Visiting to Stephantsminda museum of history. 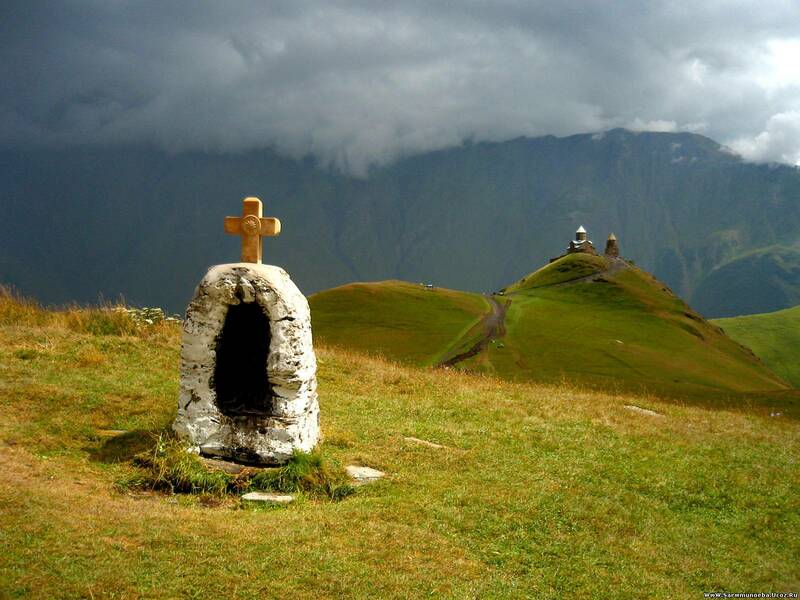 Dinner and last main destination place is GergetiTrinity Church (2200 m.) where is a beautiful scenery of nature. End of the day accommodation in hotel, which locates in kazbegi. Supper. Breakfast (08:00 – 09:00).The tour continues to the north, in the direction ofDariali Valley. Visit to Archangel Monastery, which locates on the border of Georgia and Russia republics. Afterward tour continues in the direction of Gveleti Waterfalls. It is necessary 2,5 km hiking to reach waterfalls. Have a picnic near the waterfalls. End of the day return to Tbilisi.